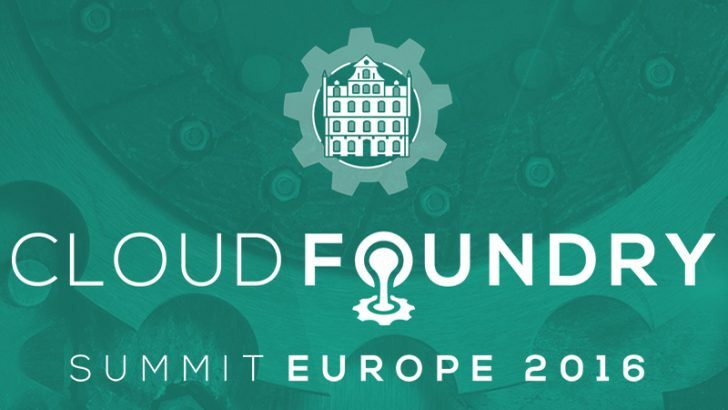 In that vein Sam Ramji, CEO, Cloud Foundry Foundation opened Cloud Foundry Summit Europe with “Open Source is a positive sum game.” Interestingly, this is the same message that was being pushed hard at the OpenStack Silicon Valley Days six weeks ago. On that occasion the messenger was Jonathan Bryce, Executive Director, OpenStack Foundation not Ramji. In the gap between the two conferences the message has been getting a lot of air time from other open source players. For those who are not sure what this is all about it’s simple. Mainstream business approaches are about a combative market-share driven world. This makes them a zero-sum game because it is often all or nothing. The combative approach is not about creating additional value which is where the positive sum approach comes in. What was interesting about Ramji’s approach was that he relates all of this to ‘self=’. For example self=family is because blood is thicker than water. Another Ramji example is when you meet someone you don’t know but they also work for your company people often make self=company. That company relationship means that you feel you can trust and share with that person. Of course, this is good news for social hackers who exploit this type of trust to gain access to information. A more important example and one that goes to the core of open source is the evolution of self=project. Ramji used Linux as an example where people involved in Linux moved from being individuals to being part of a community. All of this through greater collaboration due to seeing themselves as part of the Linux project. What this all leads to is the fact that by expanding self= to a range of different things it changes who people want to interact with. By creating a positive sum approach people look to collaborate and share. Interestingly this does not preclude companies competing with each other. Look at the members of the Cloud Foundry Foundation and there are many companies who compete with each other. However, while they compete they are also aware of what can be achieved through collaboration on core issues. How does this relate to Cloud Foundry Foundation? Cloud Foundry is a platform that is contributed to by a lot of different people. It uses inclusivity and collaboration to attract new innovation and that becomes self-sustaining. This is not the only advantage to attracting a wider engagement. The more people who are engaged and using the platform the lower the risk of using it. Why? Greater usage means it is more likely to be sustained. If the user base drops then it becomes a niche product which is costly to maintain. This leads eventually to its demise and makes it risky for people to consider adopting. The Cloud Foundry Foundation introduced its first standards certification last year called Cloud Foundry Certified 2016. It is currently working towards the next iteration called Cloud Foundry Certified 2017. Ramji expects all those who’ve already certified on the 2016 model to repeat that for 2017. It’s an interesting approach but it does put pressure on developers to keep their products updated. It also puts pressure on the Cloud Foundry Foundation to ensure that the testing and validation process is capable of dealing with increases in the number of people wanting certification. What is the future for Cloud Foundry? 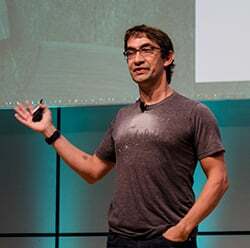 Ramji sees Cloud Foundry evolving to the point where third-parties will bring both packaged apps and services to the Cloud Foundry platform. They will just plug them in and users will consume them. There will be no need to code or create integrations with each app. This commoditisation is important because when it happens it will mark a significant maturity of the platform. There is little doubt that the open source is finally getting the push it needs. It has moved a long way from its early base of geeks sharing stuff with each other. Microsoft, IBM, HPE and others are now big investors and contributors to open source. They are not alone. Large enterprises are also getting in on the act with Ford recently making a significant investment in Pivotal. For many of those involved in open source it is all about the community. While this works for people who are personally invested in shared projects it does raise a question. Can companies really make that jump and embrace the love where sharing and collaboration create a positive sum game?